I don't have any particularly great topic to write about today. Christmas has already past. I am not in the Gung ho, let's attack the new year mood right now. I guess I am on a holiday vacation slump. So I think I will just muse about something and see what your thoughts and opinions are on the matter. I'm sure many of you have noticed a big push in the American literary market for more diversity and the need for different voices to be heard. One way publishers seem to be trying to do this in the picture book realm is by publishing English translations of folktales and stories native to different areas of the world. I myself buy into this idea as I often check these types of books out from the library. A few of these books I find to be real gems. But with a significant portion of them I find myself scratching my head and saying "What a weird book, I don't get it." Maybe some of these books just weren't translated well. I can understand that. My two older sons are in a Spanish immersion program and both of their Spanish teachers don't speak English very well. One often uses something like Google translate to create emails to parents and the emails are surprisingly odd and sometimes hard to understand. Good translation is difficult and requires someone who has a lot of skill and practice. But there has to be more than language translation issues going on here. Cultural context also affects how a story or idea or joke is processed and interpreted. 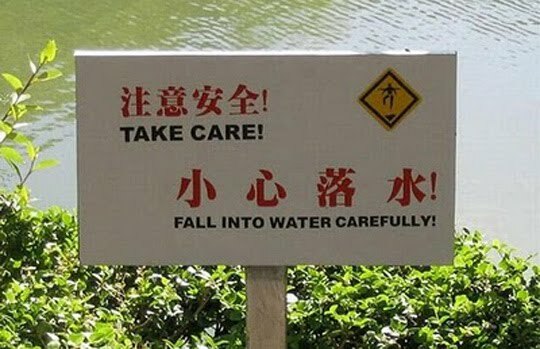 Even the best translation can't correct for a lack of cultural understanding. This seems like a pretty big issue to me when we talk about increasing diversity in the literary market. Obviously, well written books are a great way to introduce and help us understand these cultural differences. But I am finding that the books that do this the best are written by people from my culture who have taken the time to research out a different culture and tell the story in ways that I can understand and benefit from, or at least from someone who has taken the time to also understand my cultural background as well as their own. However, I don't hear this idea expressed in the conversations about diversity very much. If all we are doing is looking for 'new' and 'different' voices to speak to us, I am not sure we are going to accomplish what the literary market is hoping for. Without someone to help us understand and interpret those voices, we might just end up with a bunch of readers scratching their head and saying "I don't get it" and unwilling to try again. What do you think? Astute observation, Lacey. Definitely something to think about.